100% Medium weight black cotton twill with white woven cotton ties. 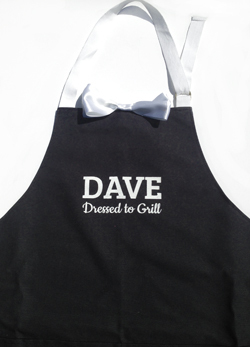 The apron is designed, hand crafted and personalised with a name or member of the family (e.g. Daddy, Grandad). 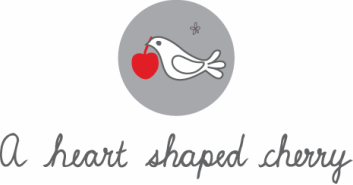 Satin bow tie sewn to top of apron. Double pocket for those essential snacks or BBQ tools! The neck tie can easily be adjusted and waist ties around the back. 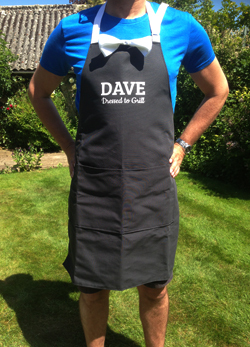 If you would like an apron personalised, please do get in touch with the details.